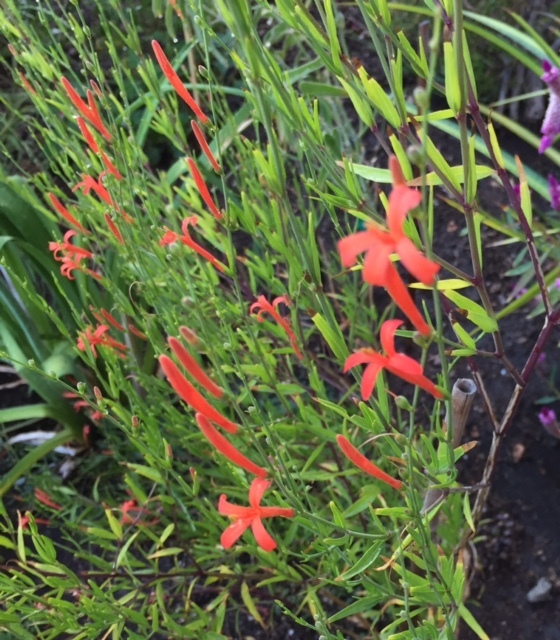 I saw this plant with the lovely coral orange red flowers at the LA County Arboretum in Arcadia a few years ago. Soon after I was really happy to find it for sale in the nursery at The Huntington Library & Botanic Gardens. I've never seen it in another nursery. 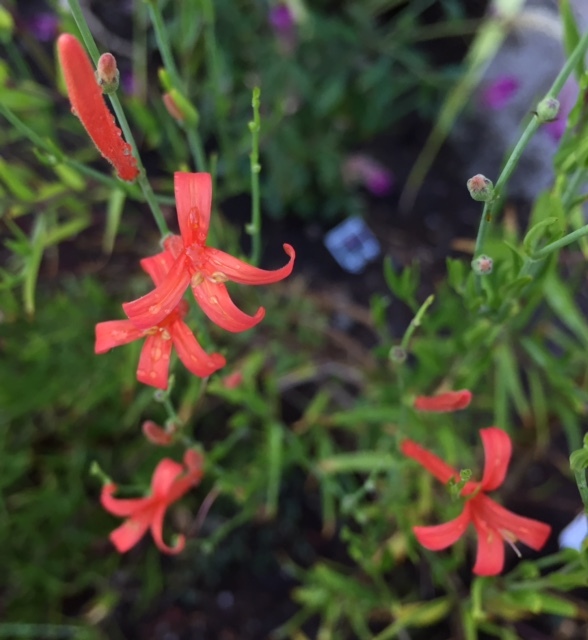 It's Anisacanthus quadrifidus wrightii or Flame Acanthus. It's native to the Americas, drought tolerant, likes full sun and attracts hummingbirds. I think those are all the best qualities in a plant! It grows to about 3' tall and wide. It's blooming right now and will through the summer. Research says this plant is named for Charles Wright (1811-1885), botanical collector who collected extensively in Texas, Cuba and his native Connecticut. Have you grown this plant? If only it would attract hummingbirds all the way to Europe!